Leabank Square: Leabank Square Spring Clean! 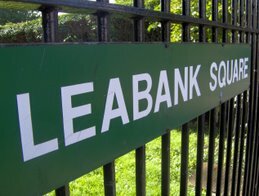 Everybody is invited to the annual Leabank Square Spring Clean on Sunday 12 July! Please could you spend just a few hours helping the rest of your neighbours giving Leabank Square a thorough seeing to. We will have a few brooms, grabbers, spades, rakes, and bin liners, but whatever you can also bring along would really be appreciated! Basically - we would like to get into the corners of Leabank Square that haven't been tidied for a while - and make it look a whole lot better!! If everyone swept up & cleaned up around their front doors, and then spent another hour walking around helping the rest of us clean up the communal areas - Leabank Square will look so great! We are also very lucky to have the Wick Curiosity Shop (http://www.wickcuriosityshop.net/about/) with us for the day as well! For those of you who have not yet had the pleasure of perusing it's wares - you're in for a massive treat! You will be amazed at all things Hackney Wick! There will be teas, coffees, orange squash & biscuits for everyone as well. Please put the date in your diary - and meet some new neighbours while sprucing our lovely Square up at the same time!! This is a lovely idea, especially as it should make the square look nice for the big lunch. I can do the spring clean, but will be in hospital for the big lunch unfortunately. I'm in too. Just a gentle reminder though, all of the houses are responsible for cleanng the pavement outside their own front door to the kerb edge. I know some people do this already, but it would be good if everyone would play a part in keeping their part of the Square clean too. Remember to let the new association know about these new dates. We don't want to let them say they didn't know about this spring clean no do we? Hello Shona I LOVE this idea. Together we can make the whole of Leabank Square a much better place to live in for everyone! 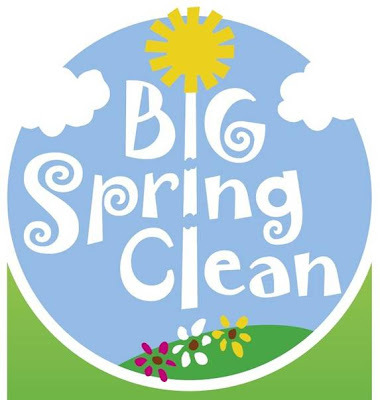 Could I suggest that we also talk to all our neighbours about this spring clean day, as some residents don't have computer access, so might not know about it. Hey Sóna, if I'm not on duty, I'll definetly be there! How come some of us got the newsletter before others? When I spoke to Gill about the Big Clean, she hadn't a clue what I was on about. I saw the notices you guys put up this morning. I really hope you get some of the residents out of their homes on Sunday! If we all did a little bit, it will make all the difference in the world.